Navigating U.S. carriers’ family plans is a frustrating exercise, to say the least. Although carriers’ websites have improved and plans have become more transparent, trying to figure out which network offers the best deal for your family is still a nightmare. Luckily, we’ve compiled this comprehensive guide on how to choose the wireless plan that best suits your needs — and saves you the most cash. Here are our picks for best family plan, best individual plan, best unlimited plan, and more. We’ve also added helpful explainer sections to help you choose your carrier. Why should you buy this: T-Mobile leads the industry with plans that charge no overages, cost less than the competition, and offer more perks. Read more about T-Mobile’s plans here. Who’s it for: Anyone who wants an unlimited plan, lives in an urban area, or travels internationally a lot. 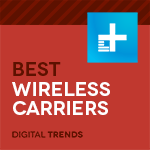 T-Mobile is the industry leader in the U.S. with its bold “Un-carrier” moves. When T-Mobile busts out a brand new plan or feature, the rest of the carriers inevitably follow its example. T-Mobile started by ending overage charges, killing the two-year contract, and offering lower prices than its competitors. Now, T-Mobile offers a wide range of perks, including free gifts on Tuesdays, unlimited data plans, unlimited music and video streaming, free international service, and more. As such, T-Mobile wins our awards for best unlimited plan, best international service, and best urban service. Of course, you have to look beyond the gimmicks to see the core aspects of T-Mobile’s service. It offers one plan: T-Mobile One. There’s no contract, and you have to pay the full, unsubsidized price for each smartphone you buy on the plan. You’ll pay for each device in installments (typically $20 to $30 a month per phone), or you can bring your own phone instead of buying a new one. T-Mobile One Plus, a premium upgrade, starts at $5 a month and includes unlimited GoGo in-flight Wi-Fi, voicemail to text, and caller ID. An international option, the One Plus International plan, includes unlimited LTE hotspots, calls to landlines in 70 countries, and all of the One Plus plan’s benefits. Data hogs get a pretty decent deal with the T-Mobile One Plan and its unlimited data, but if you’re a customer who was using only the minimum amount of data each month, the new T-Mobile One plan represents a price increase of $20-$70. You do get unlimited data for that extra money, but if you don’t have cash to spare, you may want to stay on your old plan — especially if you’re satisfied with your current data limit. Bottom line: People who want a no-frills unlimited option will find T-Mobile’s One plan attractive. Large families who make international calls or tether to mobile hotspots should opt for One Plus. Disclaimer: If you live in a rural area, T-Mobile may not work for you. Coverage is still spotty in rural America, though it excels in cities. Mobile without Borders: T-Mobile users get unlimited talk, text, and data in Canada and Mexico, as well as the United States. Unlimited text and data at lower speeds (3G/2G) is also available in almost 150 countries worldwide, though calls cost 20 cents per minute. Jump! on Demand: You can lease phones for less and upgrade to the latest and greatest phone whenever you want. Music Freedom: Stream music on most of the popular streaming apps including Spotify without burning through your data allowance. T-Mobile Tuesdays: Download this iOS and Android app to get free deals every Tuesday, like $15 in Lyft credit or a Frosty from Wendy’s. No overages on data: The unlimited plan has no overages. Speeds won’t throttle until 50GB: For subscribers on the T-Mobile One plan, speeds won’t throttle until your data usage reaches 50GB. Spotty coverage in rural areas. 10 GB of LTE mobile-hotspot data. The tethering between your phone and other devices is limited to 3G speeds. You’ll have to upgrade to the One Plus International plan for 4G LTE tethering. Sign up for Auto Pay on your bills, or T-Mobile will charge $5 extra per line each month.